American Designer, Ralph Lauren has been a huge vintage Panerai collector for many years, and has amassed quite a collection of rare vintage Panerai watches. 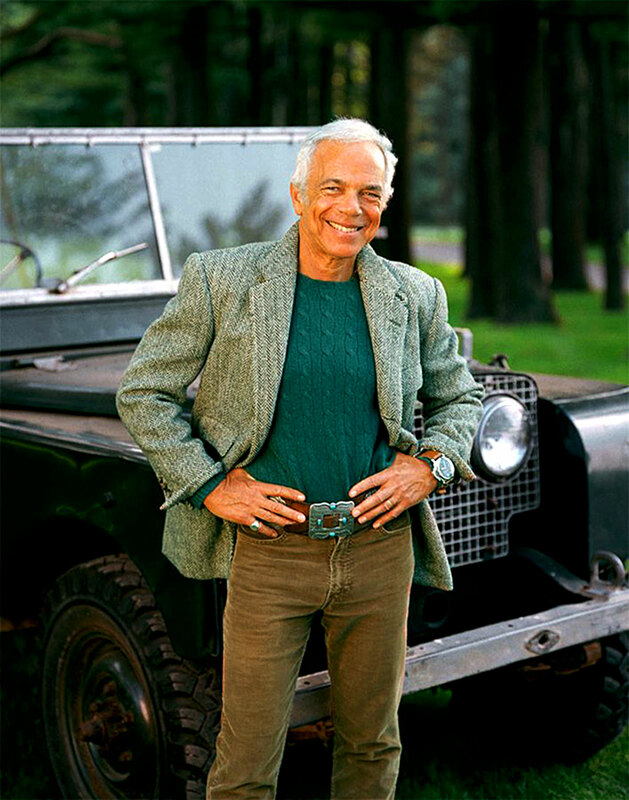 Ralph Lauren is pictured below in front of his vintage 1950 Series 1 Land Rover, sporting a 1954 47MM Vintage Panerai [Reference 6152] from his personal watch collection. The second photo below appears courtesy of Esquire Magazine, and shows one of Ralph Lauren's vintage Panerai watches with a Marina Militare designation on the dial. This beautiful watch is a Reference 6152:1, which was made by Rolex and features a Rolex Brevet winding crown. This photo was taken in the Polo New York Flagship store which was formerly the Rhinelander Mansion. 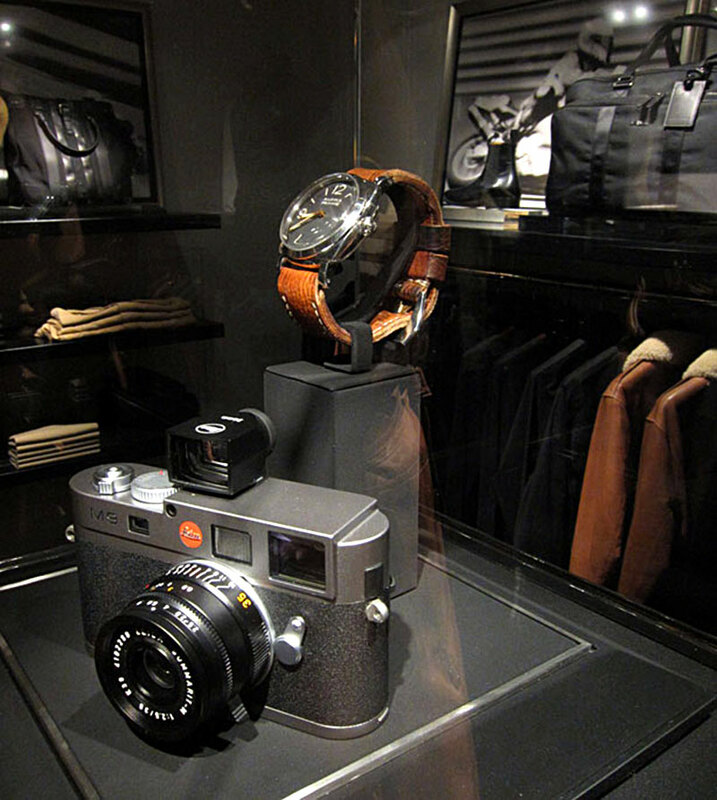 The photo above also pictures a Leica M9 camera, which, despite looking like it is a vintage camera, is actually a state-of-the-art digital model which features the smallest full-frame digital sensor. Ralph Lauren has a huge passion for collecting rare items that are timeless and have endured as icons of superb design. Ralph Lauen has one of the most significant vintage car collections in the worlds and one of his greatest possessions is his ultra-rare 1938 Bugatti 57SC Atlantic. 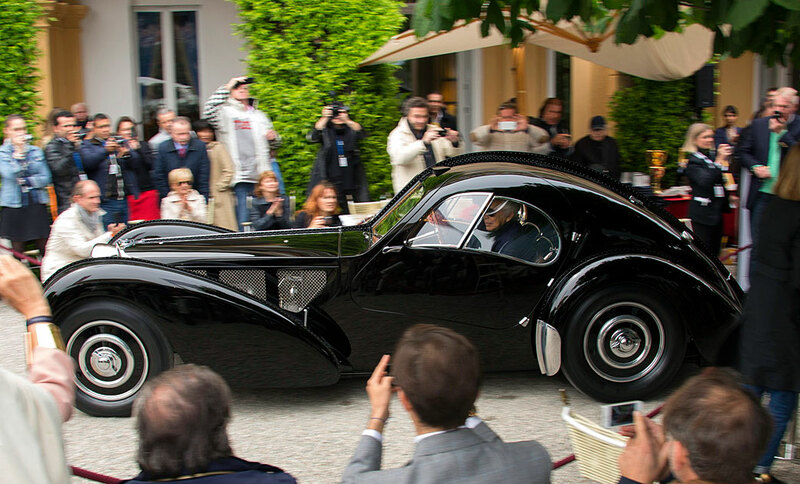 Ralph Lauren is pictured below in May 29, 2013 pulling up in Italy in his 1938 Bugatti 57SC, which won Best In Show at the Villa d'Este Concours de Elegance on Lake Como Italy. 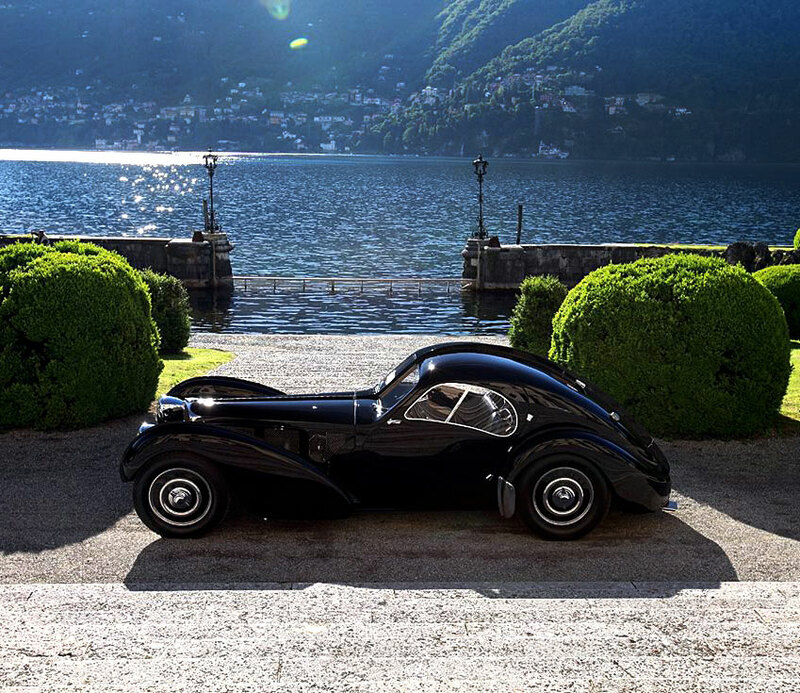 Ralph Lauren's 1938 Bugatti 57SC Atlantic, which won Best In Show at the Villa d'Este Concours de Elegance on Lake Como Italy is pictured below in front of Lake Como. What does Ralph Lauren's 1938 Bugatti 57SC Atlantic have to do with Panerai? Design Language. 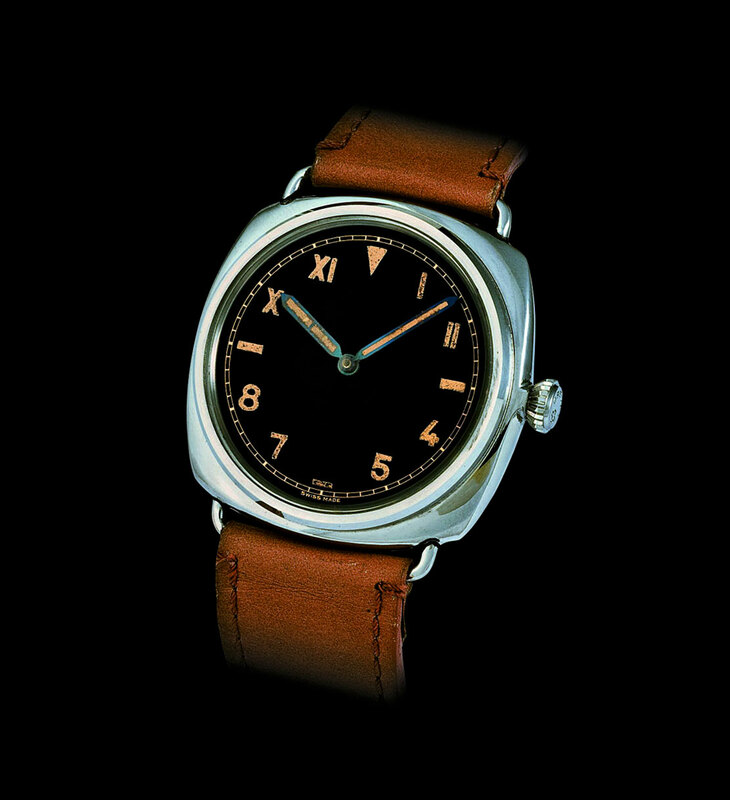 Pictured below is an original Panerai 3646, which is from the same era as Ralph's Bugatti. Both Ralph Lauren's 1938 Bugatti and the 1938 California Dial 3646 are timeless Art-Deco masterpieces, which are both simple and sophisticated simultaneously. 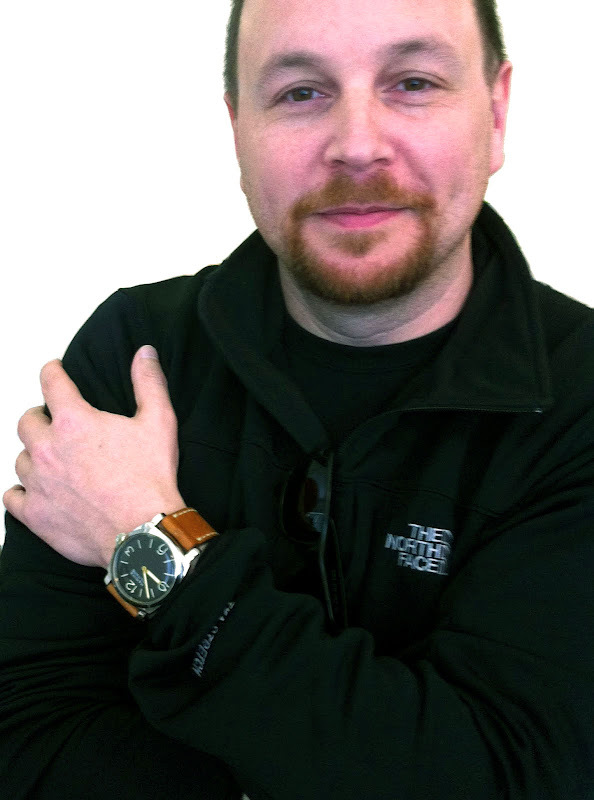 The Italian Renaissance Master, Leonardo da Vinci, beautifully summed up this notion, 500 years ago, when he said, "Simplicity is the ultimate sophistication." Ralph Lauren's ultra-rare 1938 Bugatti 57SC Atlantic (pictured below) is one of only four of this French Art-Deco masterpiece model that were made. Today, only two exist and Ralph Lauren owns one of them. It is estimated that it is worth somewhere around $40 Million, thus likely making it the most expensive car on earth. 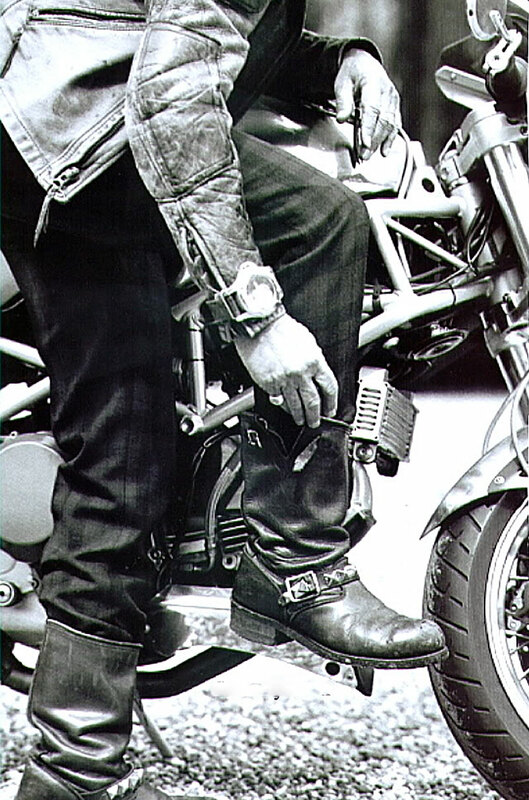 Ralph Lauren also features some of his vintage Panerai watches in ads for his clothing line, and in the Ralph Lauren ad below we see an very rare "Big Egiziano" 60MM vintage Radiomir Panerai 2/56 which was made in 1956, being worn over a leather jacket. The 1956 Big Egiziano was a monster watch at 60MM and I included a photo below of an original 1956 vintage Panerai Reference 2/56 which featured an 8 day manual movement. Many vintage Panerai collectors love the beautiful curvy lines of this Italian beauty. Panerai recently reissued a similar model named the PAM00341 Egiziano which Sylvester Stallone wears. "Following a request of Commander Fawzi of the Egyptian Navy who attended the Commando School of the Italian Navy, Panerai developed the legendary reference GPF 2/56, its internal code derived from the month and year of its projection, February 1956. 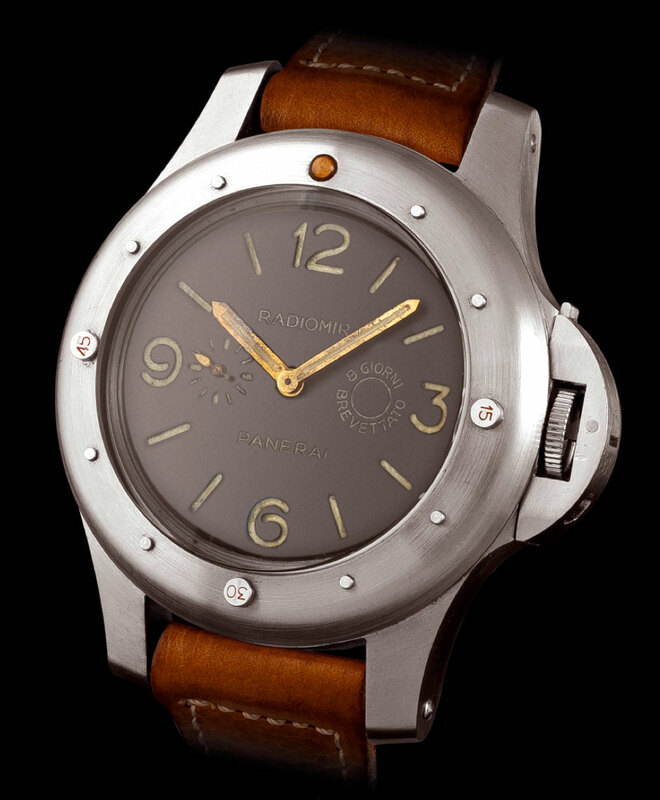 Nicknamed the "Egiziano" (Italian for "Egyptian") this model is the largest of all Panerai wristwatches ever made with an impressive diameter of 60 mm. It furthermore featured a revolving bezel graduated for 5 minutes. Most notably it was fitted with the well-known Angelus 8-day movement which already found use in a small number of reference 6152 (see lot 324). 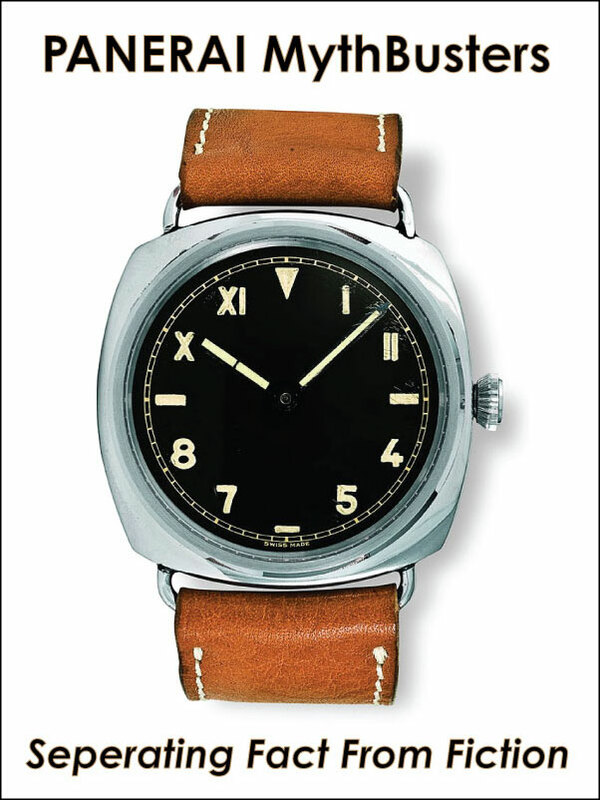 Earlier examples of GPF 2/56 were equipped with the "Radiomir" dial, later models had the "Luminor" version. Regrettably, no documentation survived in regards to the precise number of "Egiziani" produced. 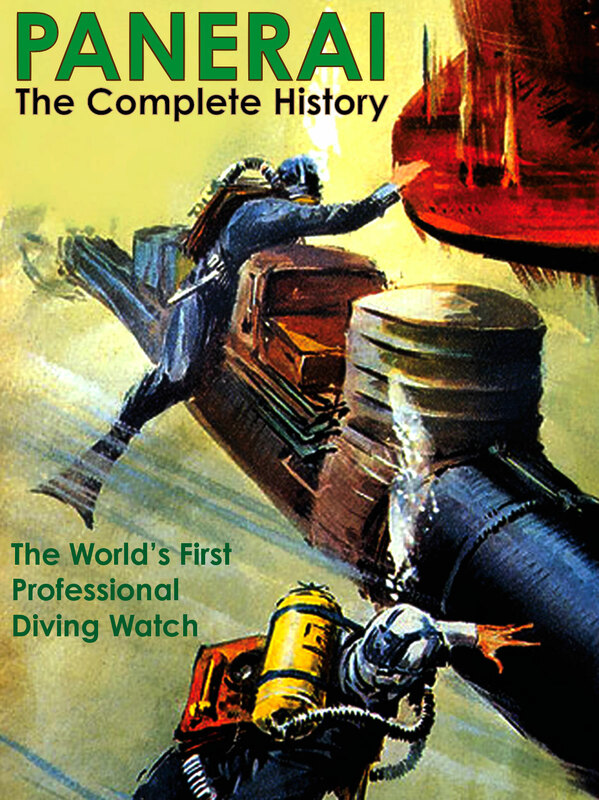 Scholarship however stipulates that no more than 50 watches were supplied to the Egyptian Forces and that few other examples were made as prototypes." Ralph Lauren has enjoyed an amazingly successful career and very rarely gives interviews. A few years ago, Oprah had the opportunity to sit down with Ralph on his Double RL Ranch which is located in Telluride, Colorado. 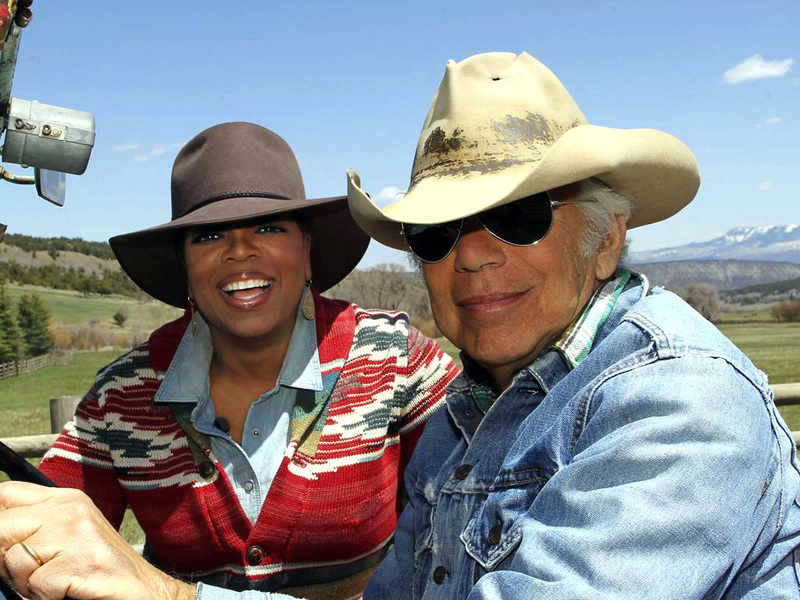 Oprah and Ralph Lauren are pictured together in the photo below on Ralph's Double RL Ranch where she interviewed him in the video above.